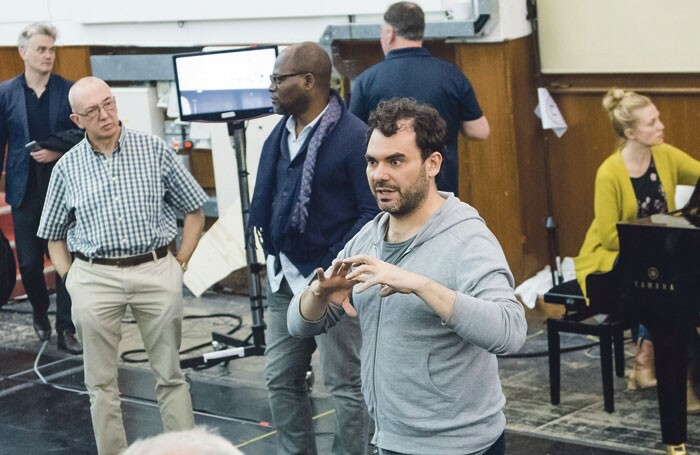 The news that Daniel Kramer is to leave English National Opera, the company he has led for the past three years, is not really surprising. While there have undoubtedly been good intentions and some genuine successes – his own production of Britten’s War Requiem was outstanding, while such shows as Cal McCrystal’s Iolanthe and James Robinson’s Porgy and Bess filled the theatre, and were extremely well received – there have been disappointments, too. Kramer’s own Traviata was pretty disastrous, and at a subsequent press conference he admitted that given the press reaction there could be no revival. Then, Max Webster’s The Merry Widow proved an inept treatment of a piece that should have had audiences flocking to enjoy what is one of the most popular of all operettas. They didn’t, and I’d be surprised if that ever came back either. With its 2,359 seats, the Coliseum is the largest theatre in the West End – 100 seats larger, for instance, than the Royal Opera House – and ever since its grant was slashed by Arts Council England by £5 million in 2015, it has become of even greater importance to ENO’s management to make the most it can out of the box office. Kramer’s programming demonstrated his adventurous and highly creative spirit, but his strike rate was worryingly uneven both in terms of his own shows and those he commissioned. At the Coliseum the favourite operas – the top 20, if you like – have to be presented in viable productions that audiences will want to see more than once, ideally again and again, such as the Jonathan Miller hits of yesteryear – The Mikado, Rigoletto, and The Barber of Seville among them – which are still in the repertoire. Too often over recent years audiences have been left disappointed; at times almost wilfully so. Yet there’s a difference between talking the talk and walking the walk, and Kramer’s ability to achieve the second consistently was not always evident. But he’s a genuinely talented individual and will surely prosper in other circumstances. The big question now is, who will ENO turn to to provide the artistic leadership needed to bring it more consistent success?